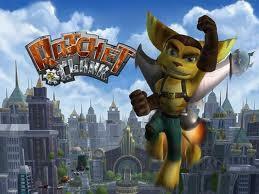 Ratchet & Clank is the first in the Ratchet and Clank series. In this game you first meet Clank, a robot who is trying to save the Galaxy from Chairman Drek (the main antagonist). Throughout the game you go to different plants to defeat villains, find gadgets, or to get information. this game also has the first encounter with Captain Qwark, a famous superhero. Sadly, in this game Captain Qwark works for Chairman Drek. At the end of the game you battle Chairman Drek on Ratchet’s home planet, Veldin, Chairman Drek is trying to destroy the planet. Kingdom Hearts 358/2 days takes place near the end of the first game: Kingdom Hearts for the PlayStation 2, when Sora released both his and Kairi’s Hearts using a keyblade (once someone’s heart is released a Nobody is created) Roxas was created. Roxas soon learns that he is a Nobody and Nobody’s don’t have hearts. 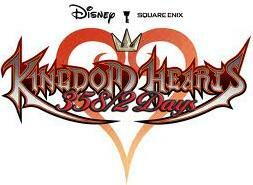 Kingdom Hearts Hearts 358/2 days is for the Nintendo Ds. This game starts when Roxas (Sora’s Nobody) is recruited by Xemnas (the leader of Organization Xiii (13) and Nobody of Xehanort, one of Ansem’s 6 original assistants) for the Organization. Roxas is the Xiii (13) member of the Organization yet, oddly enough, not the last. On his 7th day he meets Xion number Xvi (14) who is also a keyblade user. His mission is clear: as one of the keyblade master’s he must defeat heartless. Once his keyblade has collected hearts all of the hearts will come together and form: Kingdom Hearts. Once Kingdom Hearts is completed all of the members of the Organization will be completed or in other words: they will have hearts. Roxas spends close to a year collecting Hearts for the Organization with his 2 best friends: number Xvi (14) Xion and number viii (8) Axel. But what he doesn’t know is: the puppet project. Xemnas sent some member to CO (Castle Oblivion) to duplicate the power of the keyblade. Thus creating a puppet completely under control of the organization they created number xiv (14) Xion. She is a mirror of Roxas, she isn’t supposed to exist. The only problem with the plan is that she borrows from Roxas. What I mean is she ‘steals’ energy from Roxas when she is fighting with her keyblade on missions. This is making Roxas weaker and more tired after missions. It ends when Xion realizes she has to go back to Sora. *Ending Alert* the final boss is……… Xion! You have to battle her in ever world you have visited. Each time being more difficult than the last. In the end Xion asks you “All those Hearts I captured… Set them free don’t let Xemnas have his way.” so Roxas though losing his memory of who Xion listens to her. He goes to The World That Never Was (where the organization’s castle is) and plans to set free the hearts in Kingdom Hearts. But on his way he has an unexpected surprise: Riku (Sora’s best friend). So you end up fighting Riku and just when you almost beat him he release’s the darkness in his heart. This makes him look like Xehanort (who in the 1st game pretended he was Ansem the Wise) this helps Riku defeat Roxas. Roxas doesn’t die after this the game is over though. To find out what happens to Roxas play Kingdom Hearts 2 for the PlayStation 2.